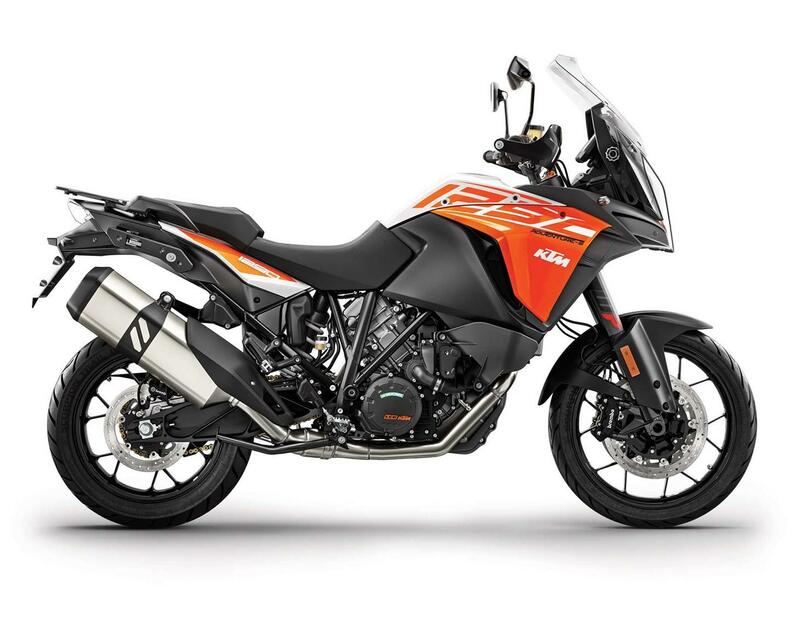 The new 1290 Super Adventure S is lighter, smaller, and easier to use than the big Super Adventure T and is a direct replacment for the 1190, which has now been discontinuted. 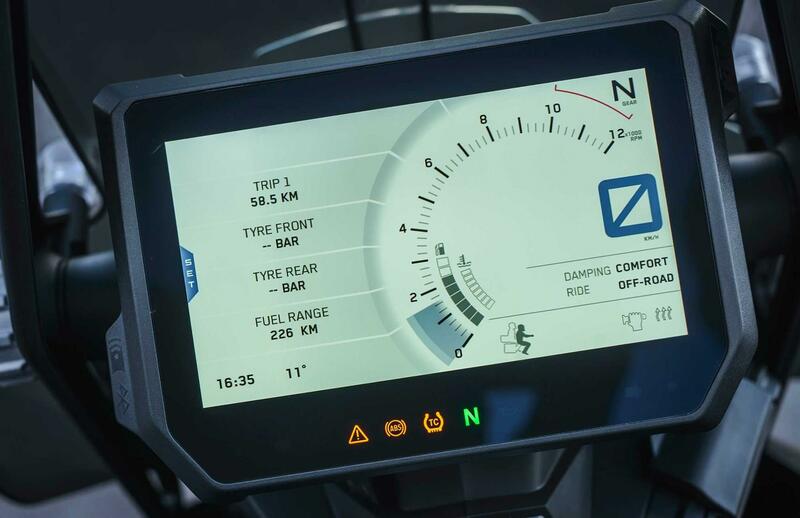 It’s dripping in rider aids which can now be used to their full potential thanks to a new easy to use informative dash. The S also comes with excellent WP semi-active suspenion and is backed up by a strong engine. 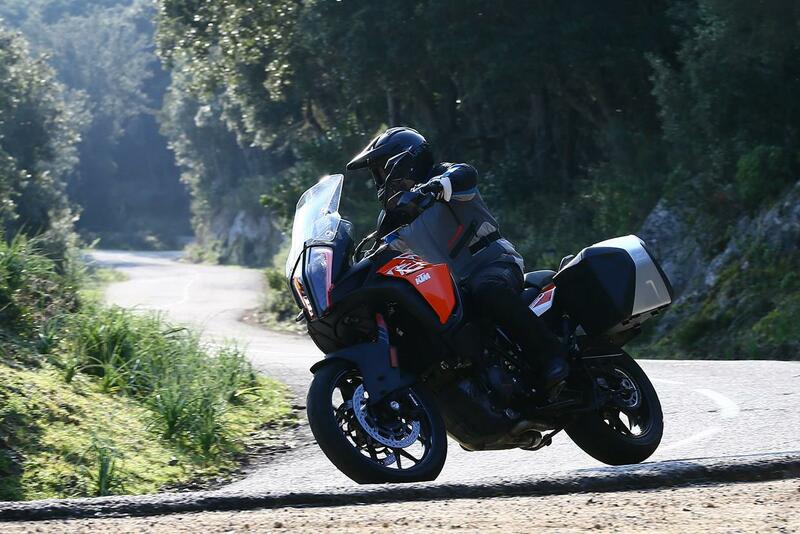 The semi-active WP suspension has four settings – Comfort, Street, Sport and Off-road – which reacts according to your chosen riding mode, and can be swapped on the fly. The new S is sportier than the old Super Adventure. The steering is light for such a big bike, which encourages you to really throw it around with relative ease. When the semi-active suspension is working overtime the 1290 remains composed, stable and boosts confidence. 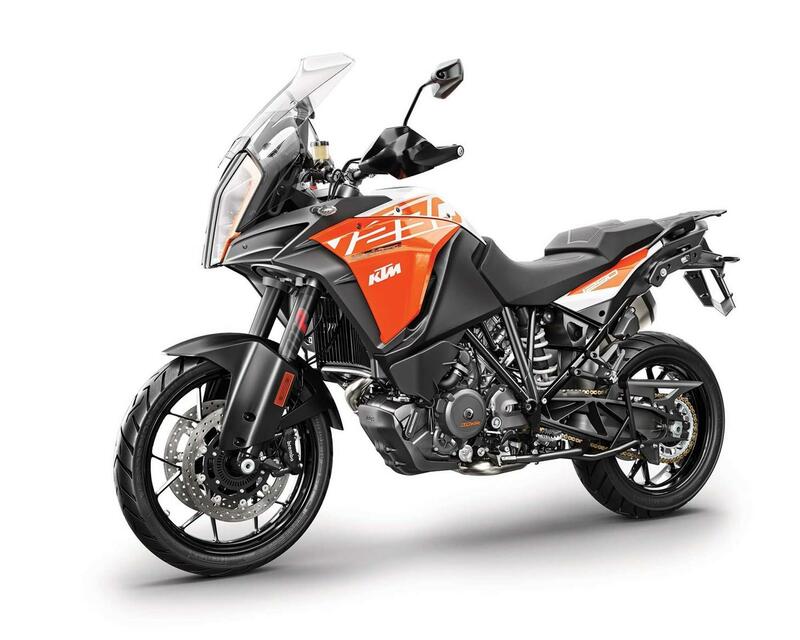 The 1301cc V-Twin is now Euro 4 compatible and KTM have cleaned up the motor with a new exhaust, new cylinder head, including valves and cams, plus changes to the fuelling. Even though the engine is cleaner and quieter than before KTM say the power and torque figures remain the same as the old model, 160bhp and 103.25ftlb of torque. It makes 79.6ftlb of torque at just 2,500rpm! 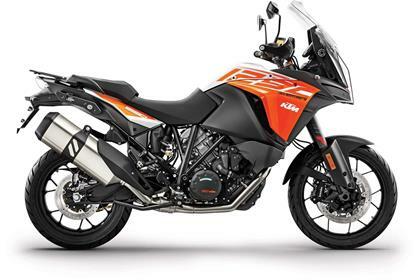 KTM’s reliablity and quality is continuingly improving and the 160bhp is near proven in other models such as the 1290 GT and Super Duke. The base price of £14,299 means it's cheaper than the competiton and for that you get a decent level of specification. However, the bike we tested would cost £16,777, which isn't too bad and puts it much closer to the competition. 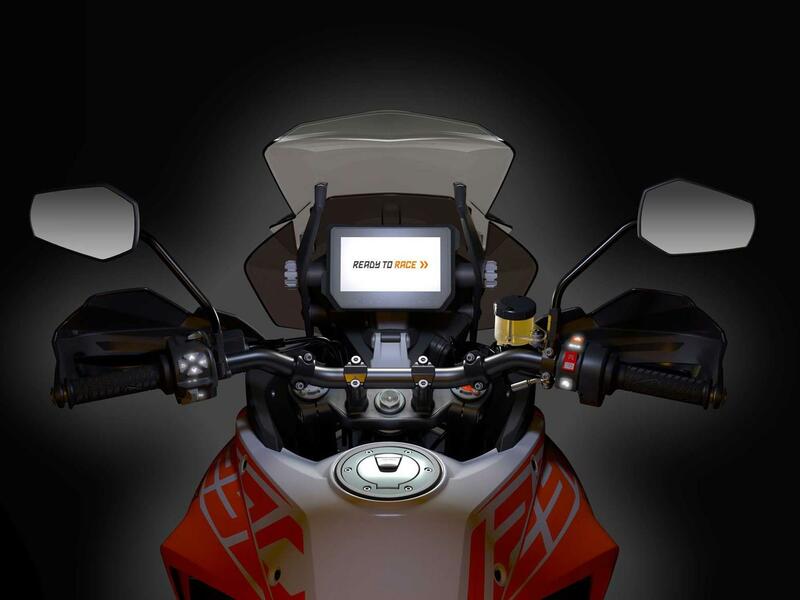 The KTM 1290 comes with an impressive spec sheet. Four rider modes, cornering ABS and lean senstive traction control, all controlled by the fancy new colour dash. Other neat touches include LED cornering headlight, keyless ingnition, cruise control, illuminated switchgear, self-locking manual screen and even a waterproof phone storage compartment complete with USB input. Heated grips are an optional exta. 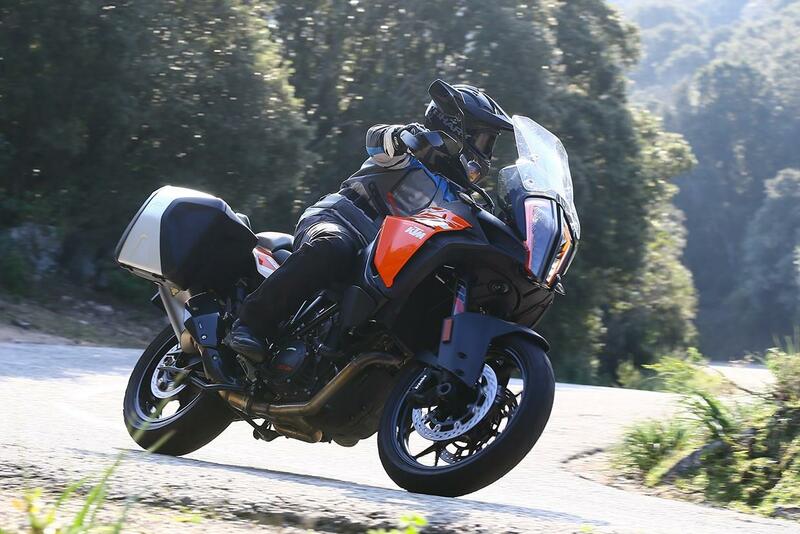 5 owners have reviewed their KTM 1290 SUPER ADVENTURE S (2017-on) and rated it in a number of areas. Read what they have to say and what they like and dislike about the bike below. This bike has awesome handling and the engine is something else but I had a few teething problems. I use my bike for touring and daily commuting and it does both without an issue. There's plenty of go in the motor for lugging luggage and the chassis handles really well. The brakes feel a little wooden at times. There's nothing to dislike about the engine, it has awesome power everywhere. It is very smooth and cruises at any speed. I regularly get 55mpg without trying. The bike has had to have new fork sliders fitted due to failing chrome and I'm waiting to have a new keyless fuel cap fitted as the current one has failed. 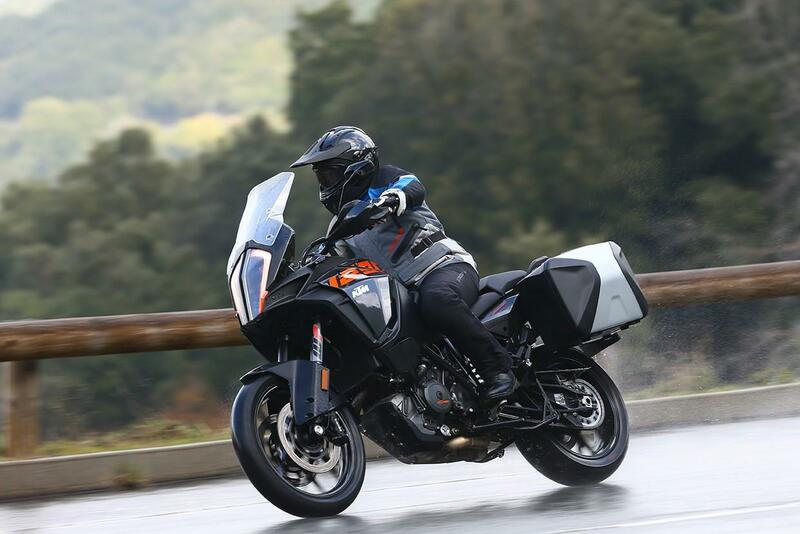 The fit and finish is light-years ahead of the R1200GS LC Adventure I had previously...... Awful paint quality on the frame and engine on the BMW. I love the cruise control and the touring electronics package. The quickshifter is light-years ahead of the gear shift assist pro on the BMW I had. I have Apduro panniers fitted to my bike, which are superb and use a BMW-style quick release system. I can also recommend the KTM Power Parts two-piece heated seats, which are a revelation in both comfort and also the heat is a welcome bonus on winter mornings. I bought my bike used from CMC Motorcycles, who were brilliant. All work on the bike post sale has been carried out by TripleD KTM at Kendal, who are superb and I can't recommend them enough. A very powerful engine, great gear, but in high speed not stable. Fun to ride. Great in the twisties. Not more expensive then my previous bikes. The bike lives up to all the marketing hype and then some. 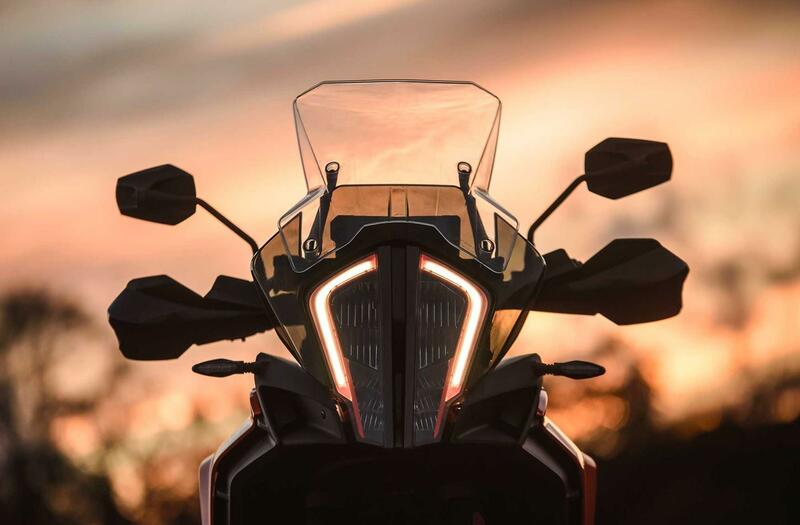 Readers will observe that I am a huge fan of the KTM, that said if I was riding two up I would probably take the GS, so some objectivity can be taken from narrative. I mostly ride solo and in this guise the KTM does make every ride an adventure, it's the way it does it which is so exhilarating that did it for me. I am sure others will say the same about a Ducati or Triumph. We are all lucky to have so much current choice of quality bikes. Perfect in every respect faultless. 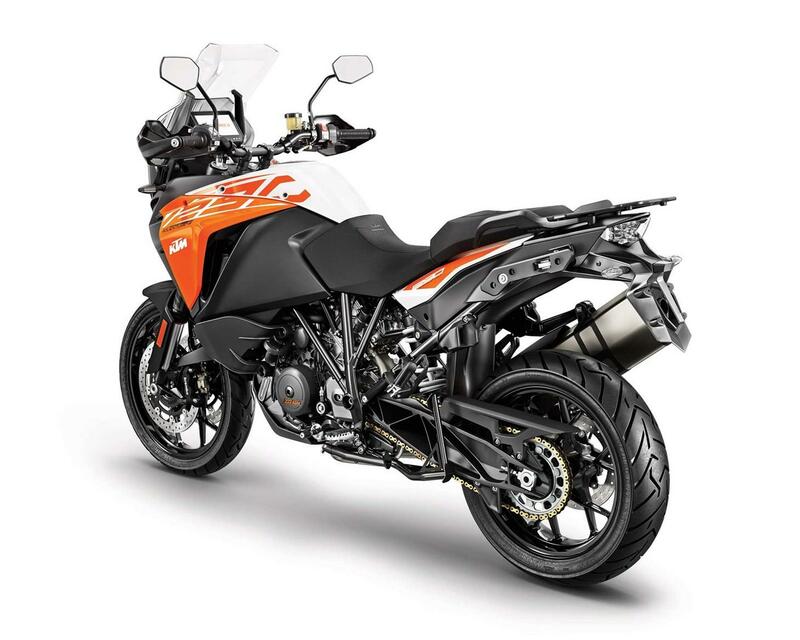 I don't believe the KTM and GS should be compared, luckily enough I have both and they both are brilliant bikes, they just get from A to B in very different styles. I spend 99.9% of my time on tarmac, but the roads in South East England are so so poor it feels like riding 99.9 % over potholes. But the roads don't bother these types of bikes they just tramp on and on and steer so well at what ever pace is set. Blows everything else away KTM clearly have some very clever chaps at the factory. The rider modes suit every circumstance, rarely use sport mode in the UK.  Pointless. Haven't had to pay for a big service yet but as with all these high spec bikes you buy knowing what you are letting yourself in for! I fully loaded my KTM with just about everything but kitchen sink. Heated seats brilliant no idea why Germans don't offer options in GS they are missing a trick. The heated seat design is also so much more comfortable than the standard seat even with no heat! For me what swung the KTM to me and not GS or Ducati Multi Strada or Triumph, I really wanted to love the triumph but the looks didn't do it for me, was KTM equipment the ipad dash which is so clear and informative,the electronic package cornering headlights which really do work, quick shifter up and down the box is flawless and so much fun every where. It very quickly becomes completely intuitive to use and I have ridden many many bikes. Lets place for improvement of the seat height compared to the handlebar. Imho that would make it a 5-star tourer. the brakes are top notch. But the engine, that is from another level. Compared to others it is no more expensive than Japanese let alone a German or an English. Full package for a reasonable price considering other brands. In my country, the KTM dealership team ARE the nicest of them all. Not snobbish as the dealers of my previous bike *coughs in German*. 1290 S 1000 miles in.! what a bike, what an engine, great suspension. Awesome machine . Standard seat aint so comfy. need the ergo seat. love the LCD screen, Gear shifter, suspension.